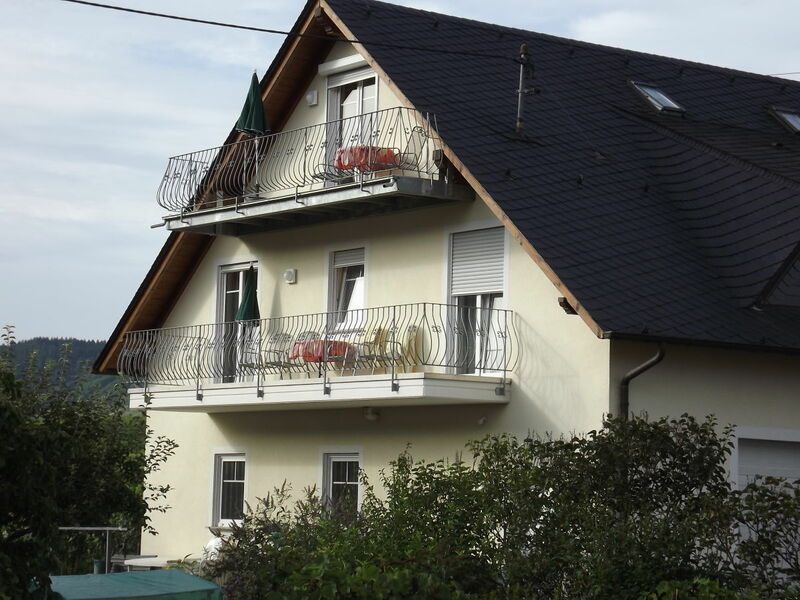 Guesthouse apartment "Held" and "Klosterlay"
Balcony of the apartment "Klosterlay"
Our apartment "Klosterlay" is located in our guest house. 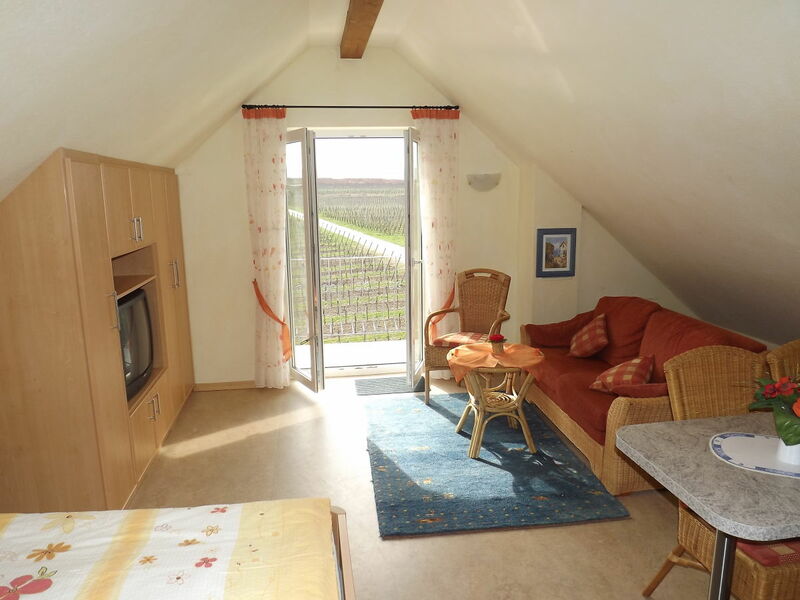 Experience the sunset in the evening and live comfortably in harmony with nature in our comfortable and with loving attention to detail apartment. 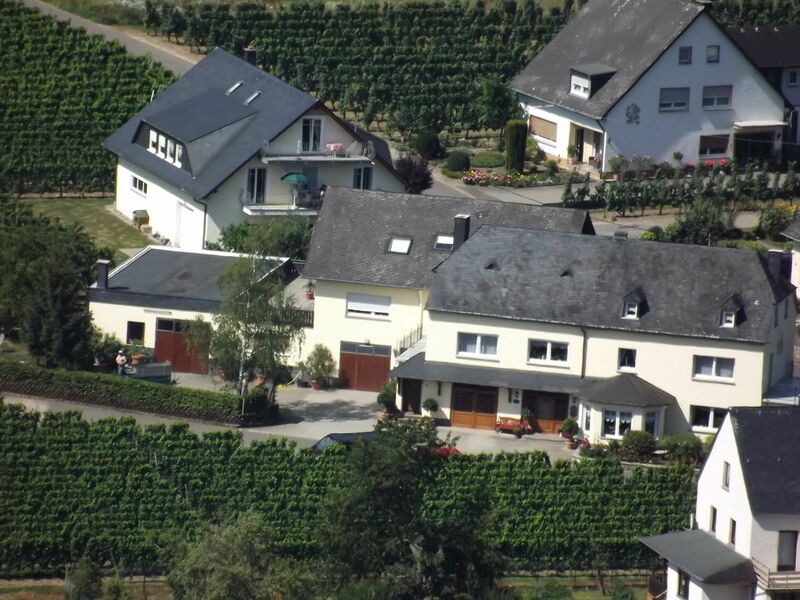 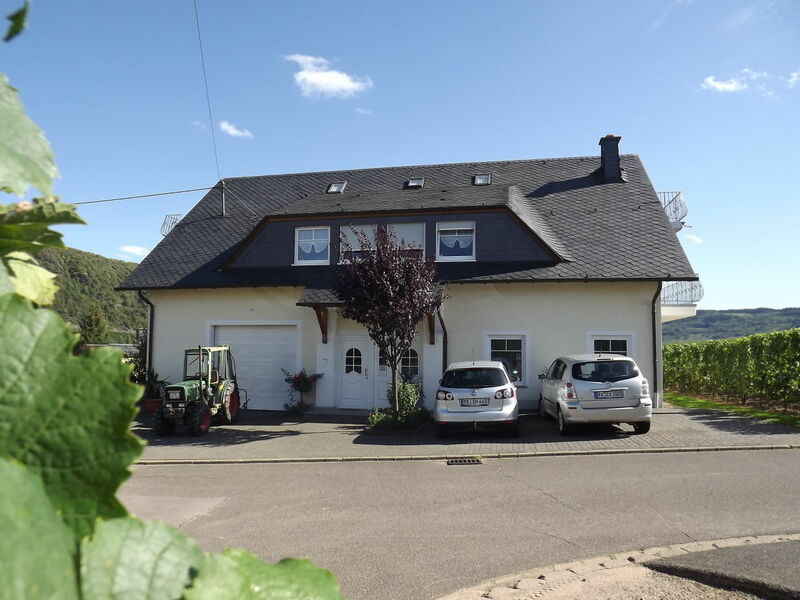 Enjoy the unique views of the River Moselle landscape with their vineyards. 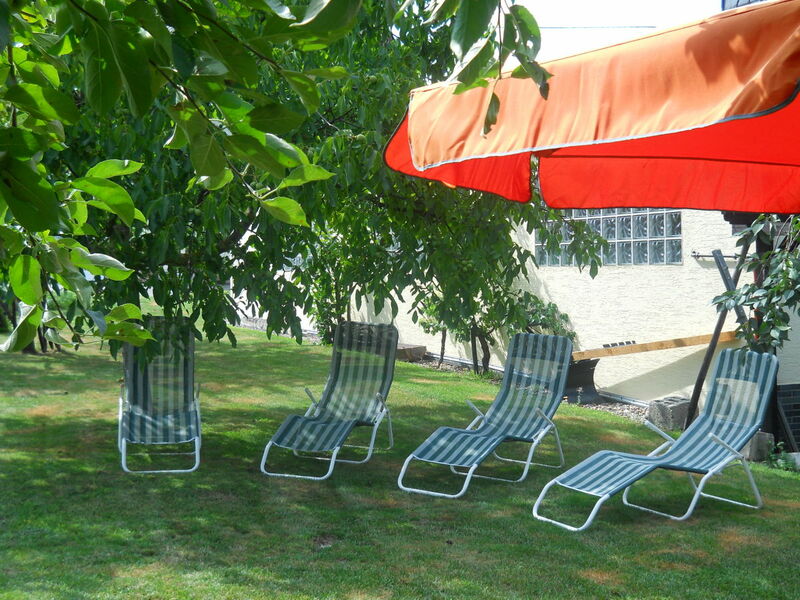 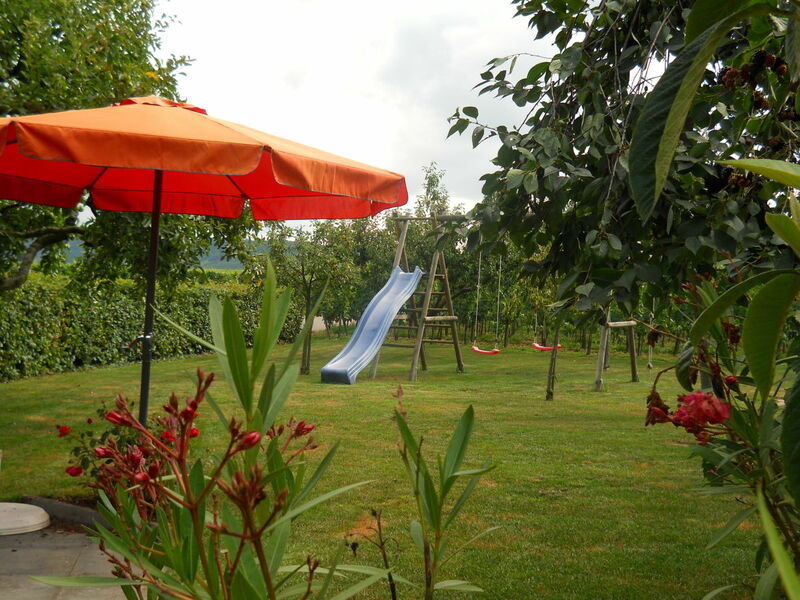 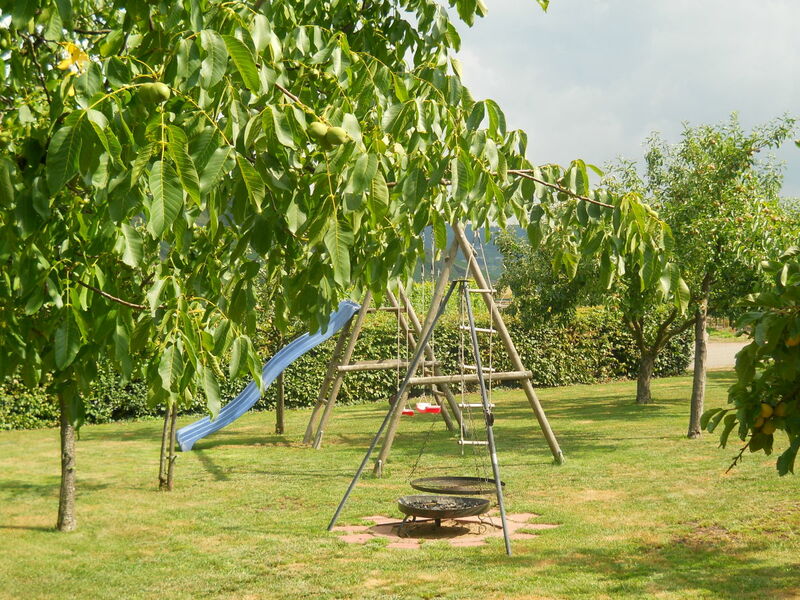 For all guests there is a cozy seating area with barbecue facilities, a large lawn, children's playground and parking at the hotel, is available. 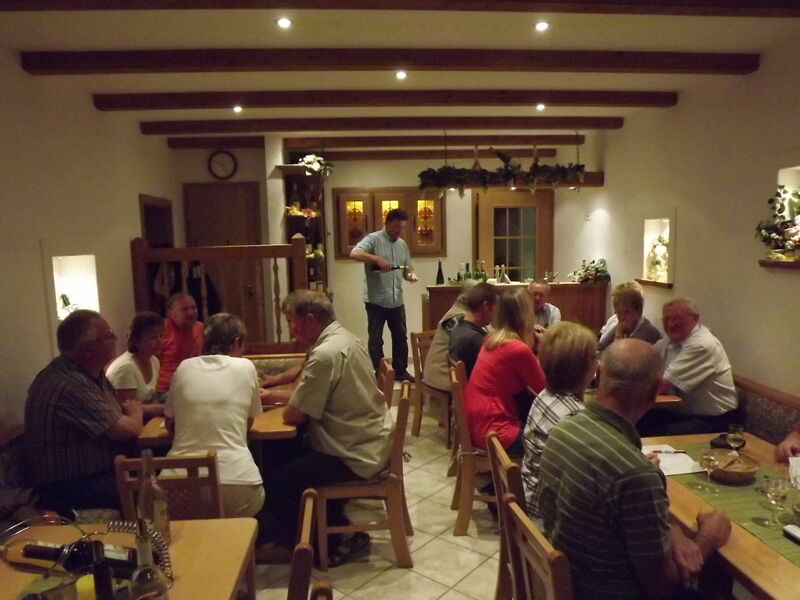 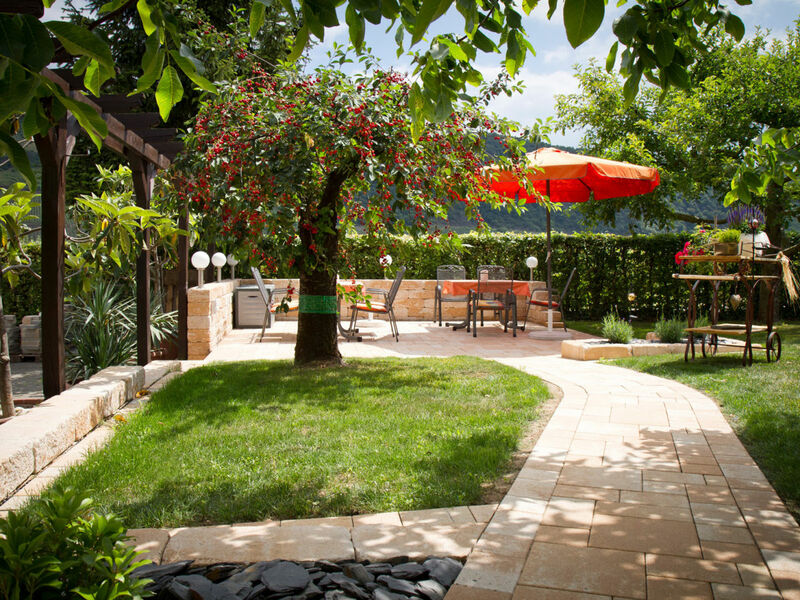 You get together for a good glass of wine in the Mosel "wine bar" for fun or outside on the garden terrace in the evening. 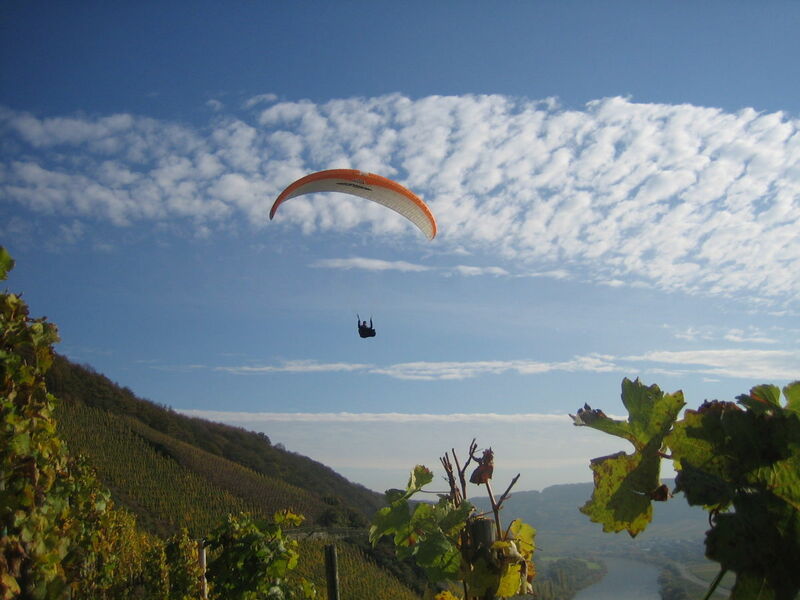 - Wine evenings in the "wine bar"
Boat trips on the Moselle, gliding, water skiing, inline skating, mountain biking, wine tasting, wine and street festivals, adventure tours in the Roman city of Treves and more and more. 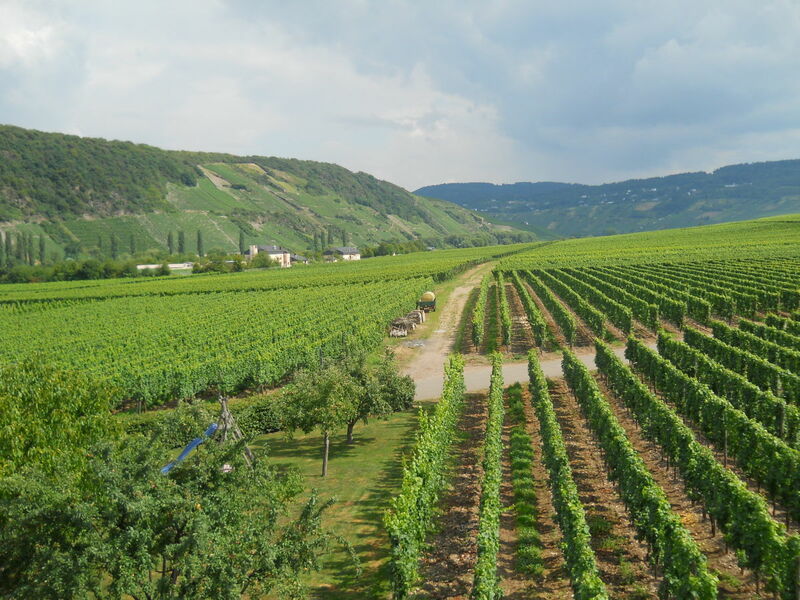 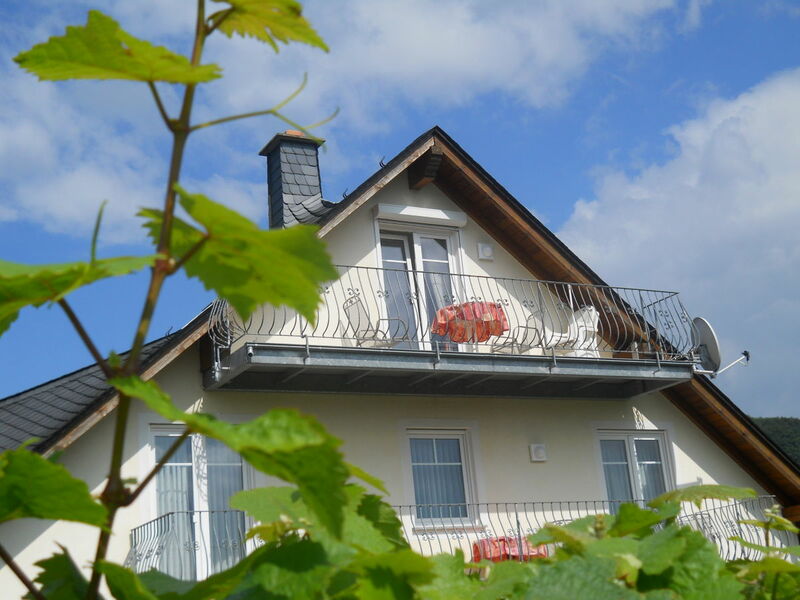 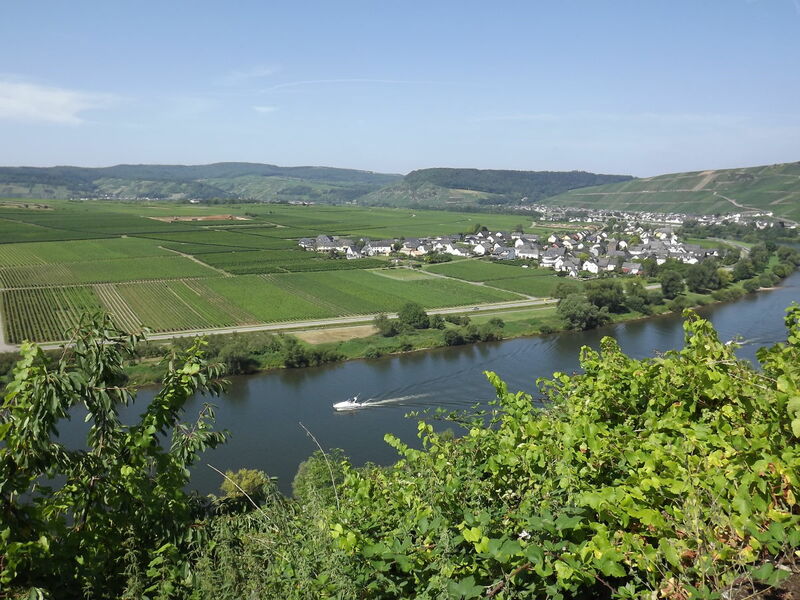 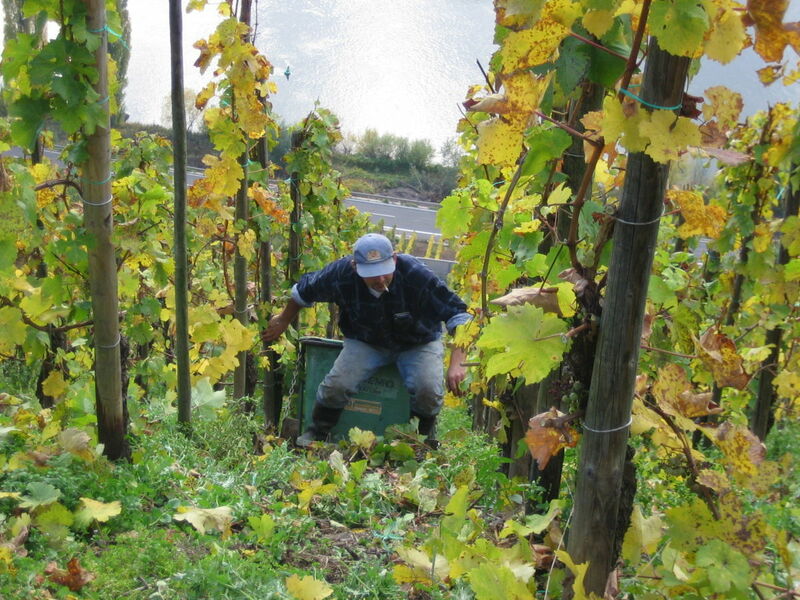 It is situated between Treves and Bernkastel-Kues, located directly on the River Moselle, the idyllic wine village Köwerich offers many beautiful cycling and hiking trails, along the vineyards and the River Moselle. 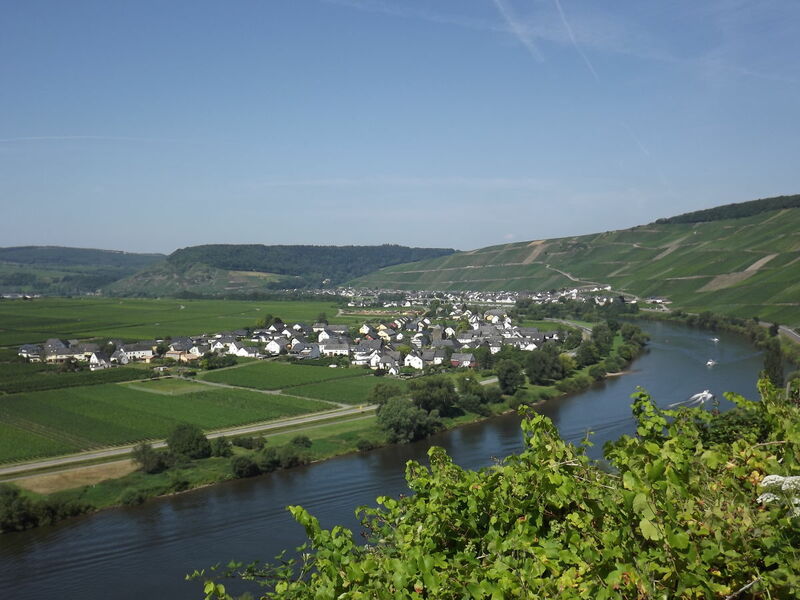 Excursions by boat, bus or private car to worthwhile destinations are recommended: the oldest city in Germany "	Treves", the Cusanus town of Bernkastel-Kues, the jewel city Idar-Oberstein, the Grand Duchy of Luxembourg, the volcanic Eifel region with its crater lakes and many more. 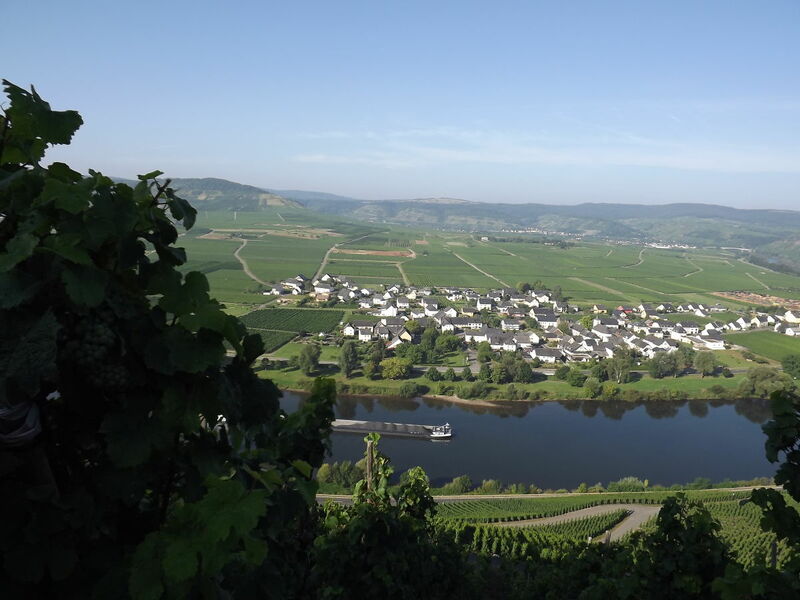 It is said that even the Romans liked to spend their holidays here and that they admired the mild climate, the peace and the flair of the Moselle landscape. 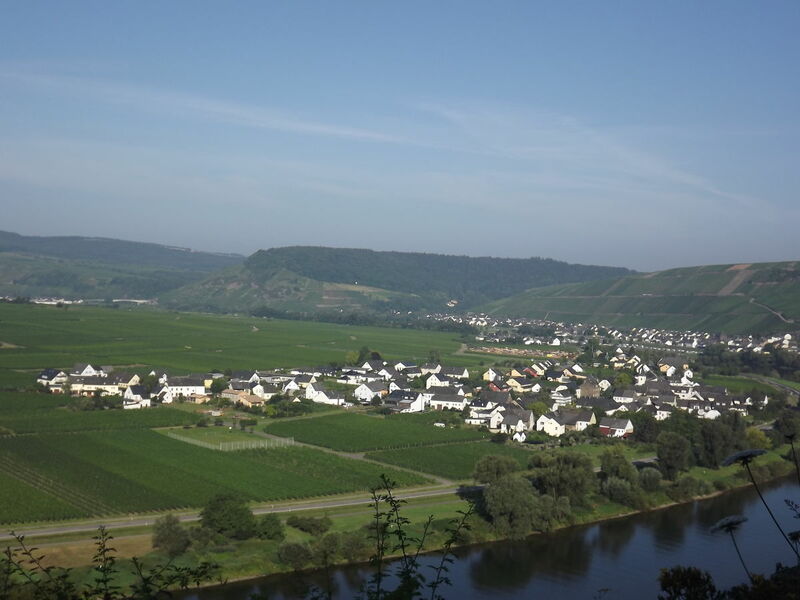 A1/48 motorway, exit 128 Föhren, direction Leiwen / Thörnich, about 4 km across the Moselle Bridge, behind the bridge turn left, after ca. 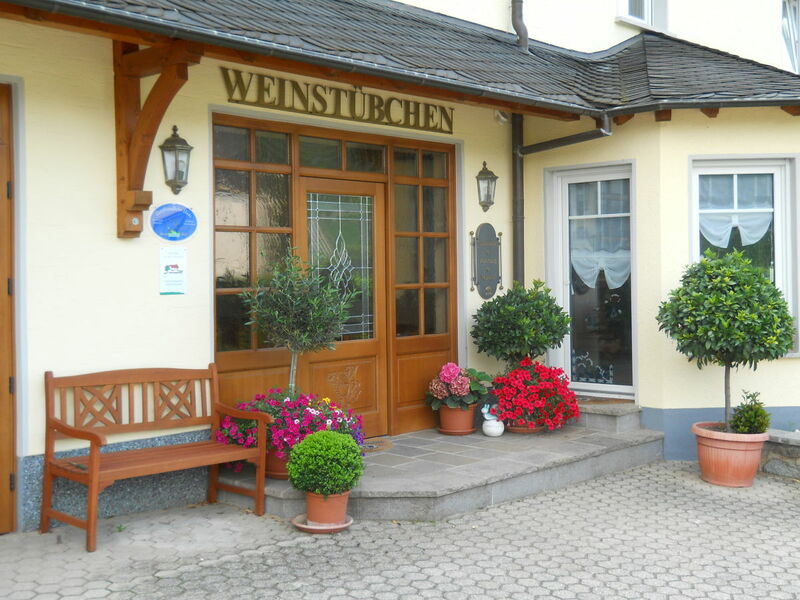 2.5 km 2nd Entrance in Köwerich - Kapellenstr. 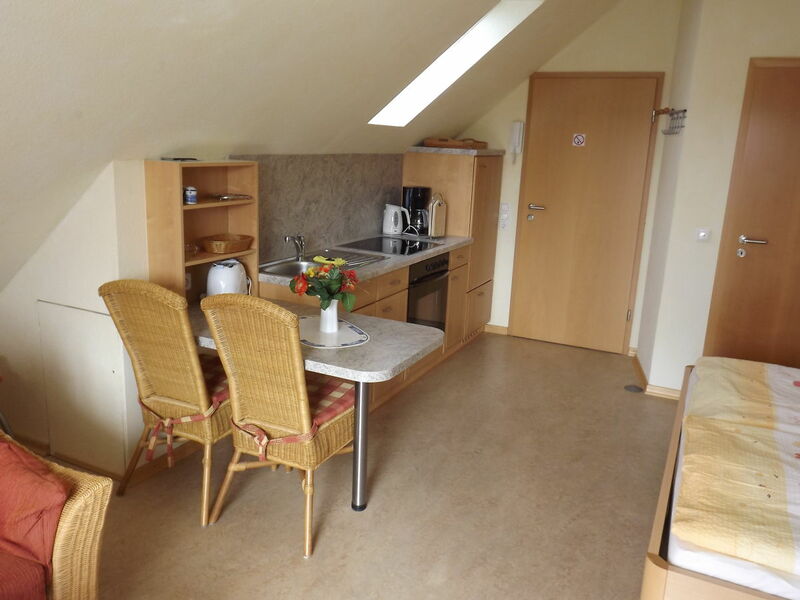 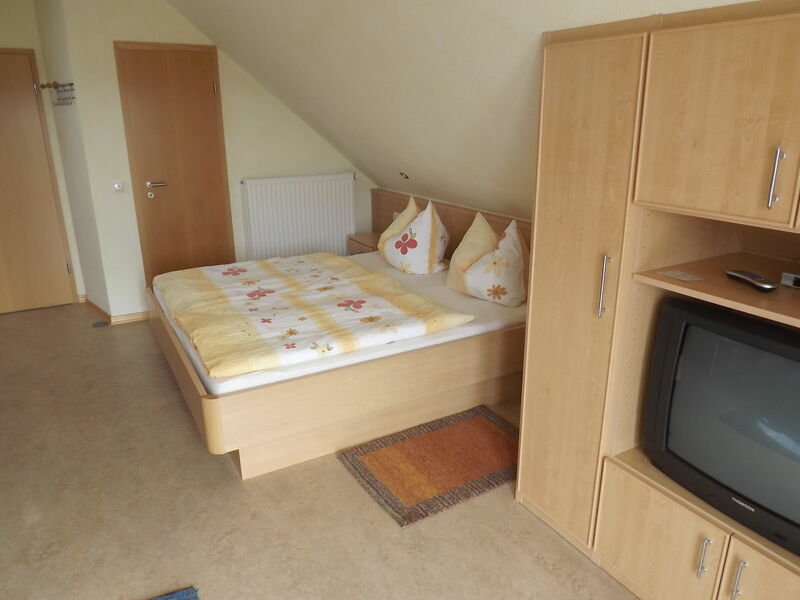 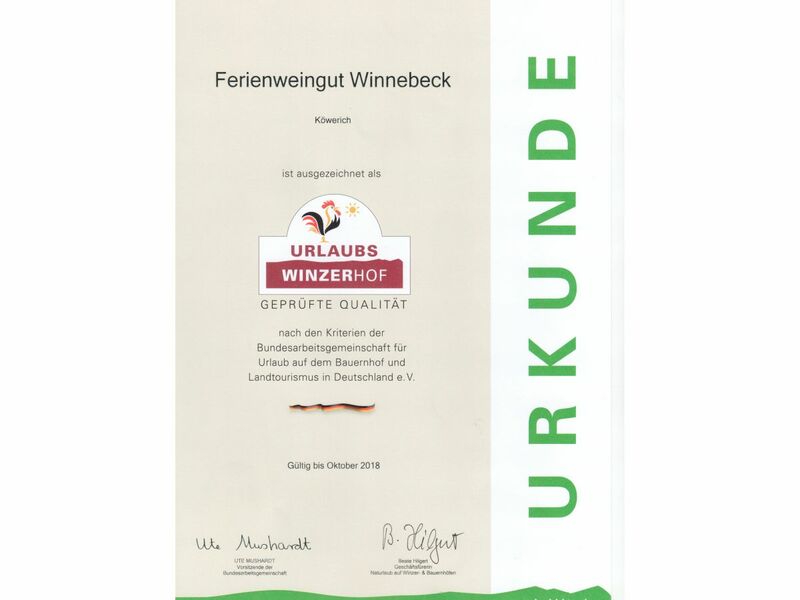 "Apartment "Klosterlay"" achieves a review of 5.0 (ranking scale: 1 to 5) due to 3 entered reviews.